What does strong church look like? In the Baptist Union there are four types of churches: A-type, B-type, C-type and D-type churches. The designations are make believe, but it kinda helps us categorise who’s who in the zoo. A-type churches are Self-governing, Self-supporting and Self-propagating. They are generally large, vibrant communities which have a long history. B-type churches are Self-governing and Self-supporting. They are generally medium in size. C-type churches are Self-governing. There are often smaller communities. D-type churches are unconstituted or failed communities. By saying Self-governing I mean autonomous, properly constituted churches. By saying Self-supporting I mean that the church in question has called a fulltime shepherd who they are able to adequately compensate. By saying Self-propagating I mean that the community is actively engaged in creating a community of like-minded believers in another properly constituted church. What is the Spurgeon Fraternal? So I came back from the Spurgeon Fraternal this afternoon; and it was good. I thought I’d write down a couple of thoughts regarding it. 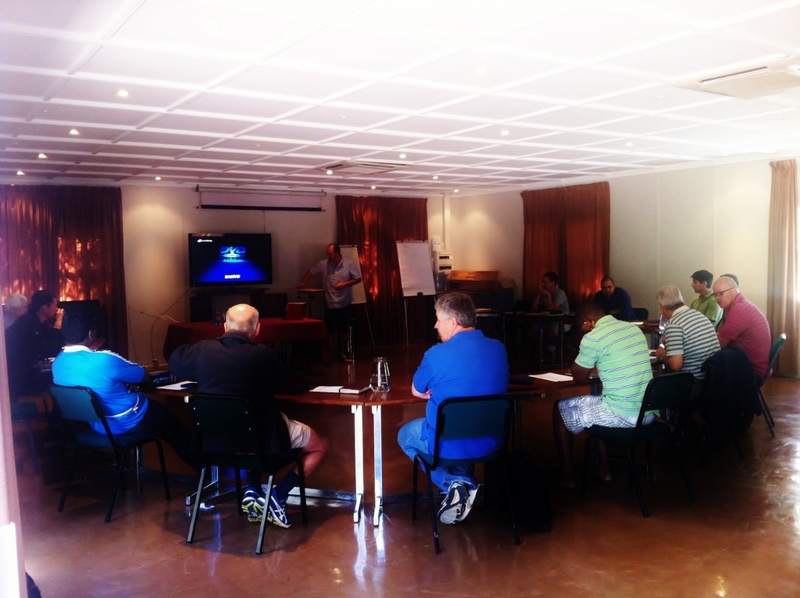 3 days, 8 sessions, focused on ‘God is the Gospel’. The Spurgeon Fraternal is aimed at pastors who hold to the Doctrines of Grace and by and large is attended by those of a Baptistic position [that said, this year there was at least one Paedo-Baptist in the group]. The fraternity’s aims are mutual edification by fellowship with each other and prayer for one another. That works out in the following way: We have three [or four] sessions a day, of one and a half hours during which we go through some content for half an hour, talk about the content for half an hour and then listen to brothers prayer needs and pray for them for half an hour. 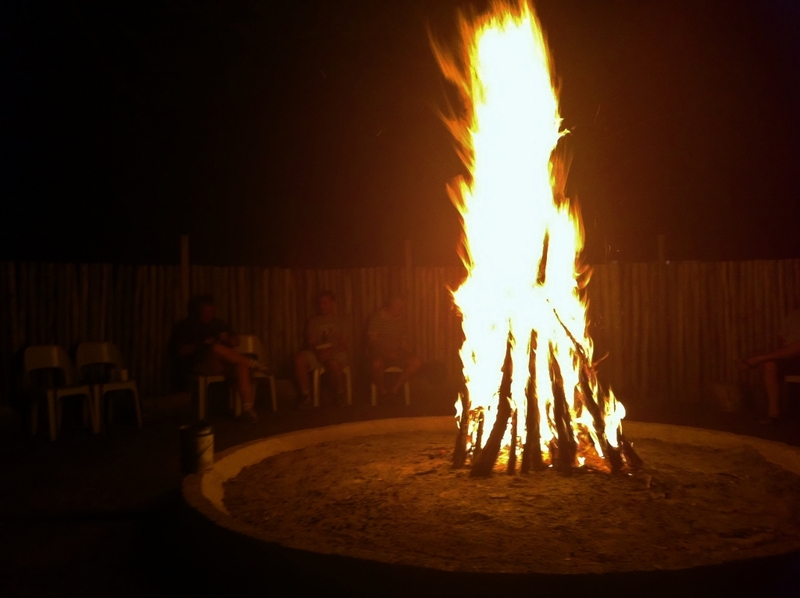 The rest of the time is set aside for fellowship and casual conversation (which translates into lengthy debates of the pastoral and theological type). Where and When is the Spurgeon Fraternal? 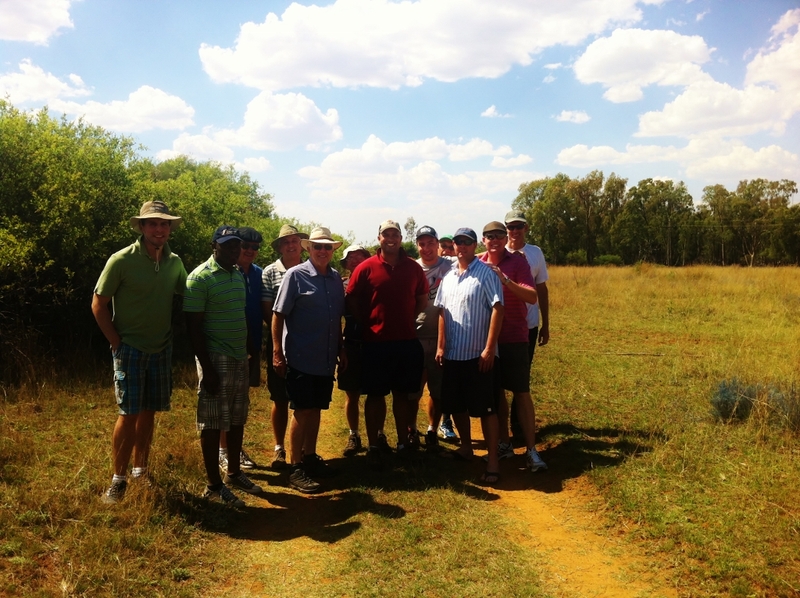 Currently the Spurgeon Fraternal happens twice a year; towards the end of the year it’s run on UJ Island, Vaal Dam, and towards the beginning of the year it’s run down in the Western Cape (in Stellenbosch). 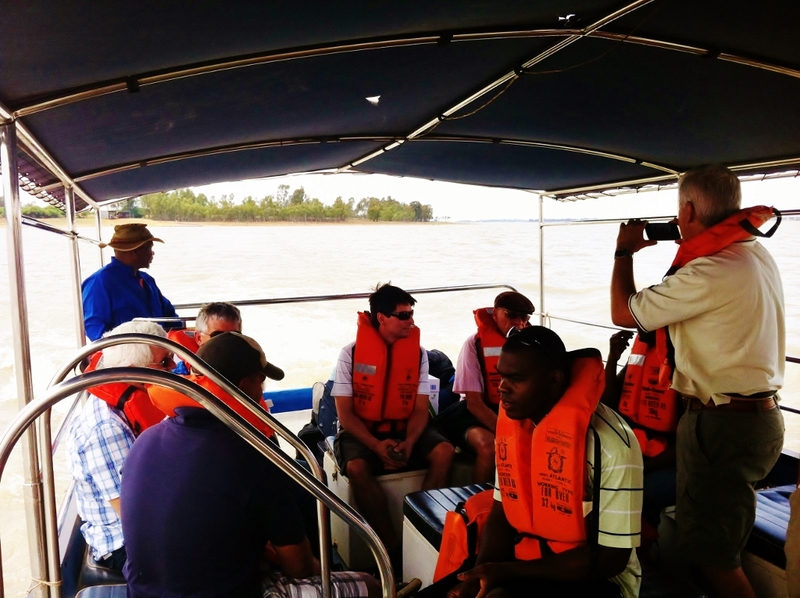 The UJ Island, Vaal Dam fraternal is the fraternal that I can make. The beginning of November is just before things start getting crazy and has become a great way for me to gird my loins for the coming battle and I have no doubt that many of the prayer requests offered up are brought before the Lord by brothers regularly in the coming months. How do I get to go to the Spurgeon Fraternal? No group has “rights” to the Spurgeon Fraternal. The mix of Baptist Churches is quite encouraging. 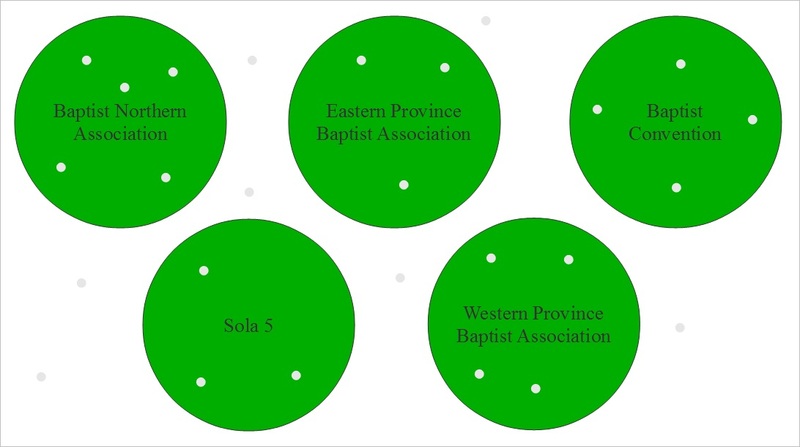 This year a number of Baptist Union of Southern Africa churches were represented, some Sola 5 churches, some churches that are in Sola 5 and the Baptist Union of Southern Africa, some independant Baptist churches and a guy from REACH (Reformed Evangelical Anglican Church). The right person to speak to would be Peter Sammons from Germistion Baptist Church who is the custodian of the mailing list which will inform folk of what’s happening when (psammons@iburst.co.za). Why consider going to the Spurgeon Fraternal? To get to the island you take a ferry across the dam. Great times. Consider going to the Spurgeon Fraternal if you hold tightly to the Doctrines of Grace and desire fellowship with like minded brothers. The fellowship this year was exceptional, the venue as always was great (the sleeping quarters are crude but the food is excellent), the speakers were good (the DVD presentation wasn’t as good as the local content led by Joachim Rieck and Brian Watts), there was worship (we sang a hymn before each session and spent a great deal of time in prayer). I loved being amongst a bunch of Reformed Pastors and the sideline chats were as edifying as the billboard speakers (I spent an evening been schooled on Amillennial Eschatology and a morning considering Chapter 25 of the 1689; big plus for me). This is a firm fixture on my annual calendar. Outreach to Grace Baptist Church, Daveyton. Published on the Crystal Park Baptist Church blog. 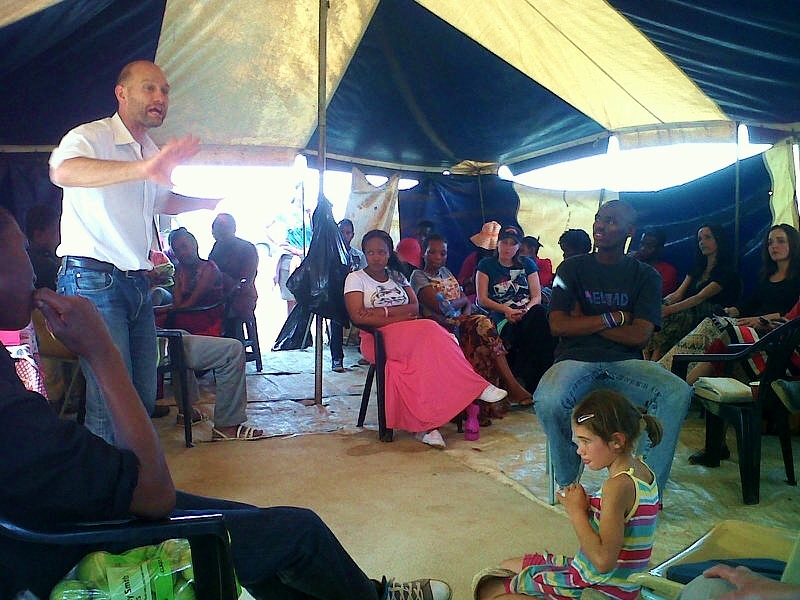 “Our townships not only need more churches, they are desperate for more churches. Churches that are biblical, confessional, and faithful. Not tossed to and fro by any wind of doctrine blowing in this land. Let us pray earnestly to God to raise a new generation that would plant such churches. Also, let us support brothers who are in process of planting or have already, by Gods grace, planted such churches” (TR). Then there’s the issue of finances. Now I get there’s financial diversity in the township. Shanty towns are very different to RDP towns which are as different to areas of bonded houses but a key constraint which Evangelical works face is finances. Actually all church plants face this problem alike but the issue is magnified and exponentially harder to overcome in areas where poor teaching regarding the People of God and their finances abound. Even if our church isn’t already planting a church into a township we can speak to churches that are. Find out the name of the Pastor. 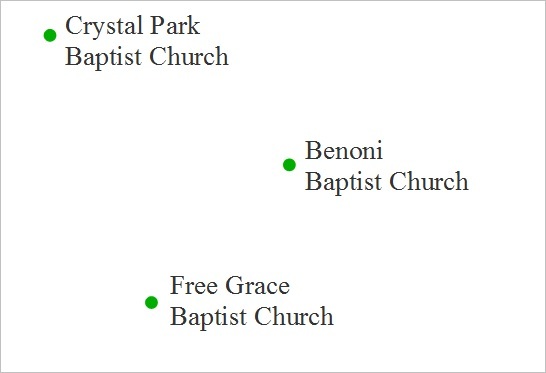 Find out the location of the church. Commit them to pray in your services, in your prayer meetings in your personal devotions. Consider praying for Chris Mnguni at Grace Baptist Church in Daveyton. Or maybe John Ndhlovu at Cosmo City Baptist Church. God hears prayers, and while we remain silent is it any wonder that His Hand is stayed? Nothing creates more opportunities for a Suburban pastor or congregant than getting a little township dust on their shoes. Once you’ve walked down a dusty street, had to fetch water from a dripping tap 50m away from where you’re working or used a smelly longdrop you quickly get a vision for the need and opportunity in the township. There’s nothing more powerful in a Suburban congregation than 5 people with a heart for a mission. There is a great cookie cut opportunity with an organisation called 3D-Outreach that you as a church might want to investigate. Check out we did here. “3 I give thanks to my God for every remembrance of you, 4 always praying with joy for all of you in my every prayer, 5 because of your partnership in the gospel from the first day until now. 6 I am sure of this, that He who started a good work in you will carry it on to completion until the day of Christ Jesus. 7 It is right for me to think this way about all of you, because I have you in my heart, and you are all partners with me in grace, both in my imprisonment and in the defense and establishment of the gospel. 8 For God is my witness, how deeply I miss all of you with the affection of Christ Jesus. 9 And I pray this: that your love will keep on growing in knowledge and every kind of discernment, 10 so that you can approve the things that are superior and can be pure and blameless in the day of Christ, 11 filled with the fruit of righteousness that comes through Jesus Christ to the glory and praise of God” (1:3 – 11). When I became a Christian I thought I might be a theologian. My standard Gospel presentation reflects this. It’s a series of systematized answers to leading questions. Who is God? 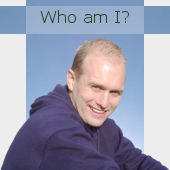 Who is man? Who is Jesus? What must I do to be save? The short answers are God is holy, man is sinful, Christ is the way, repent for the forgiveness of sins. This past week I spent some time with two very different men at the Baptist Union of Southern Africa Assembly. Bradley Trout from Mountain View Baptist Church and Craig Duval from Pinelands Baptist Church. Bradley’s a friend. He’s a bookworm. But he’s more than your average bookworm. He remembers stuff, simplifies stuff, and repeats it back in relevant situations. He is an interesting addition to any conversation and I wish I could have more conversations with him in the room. Anyway Bradley has been on my case to get into Biblical Theology this year so that I can give some thought to progressive revelation and a narrative view of Scripture. Craig’s different. One evening at the Assembly I sat down next to Craig and introduced myself as a Reformed, Dispensational, Cessationalist and asked him a couple of questions. He graciously spent the next 5 hours giving me answers. The Theological can of worms aside, what I got from Craig was a story. He started in the garden and wove through to eternity to come. He talks of the people of the Bible, the places of the Bible and the God of the Bible. Rather than a series of systematise propositional statements about Scripture he tells the story of Scripture. Simple, compelling, replicable. A transfer mechanism for theological concepts to an audience with an attention deficit. So with Bradley and Craig in mind I’ve been thinking about my own Gospel narrative. The diagram below represents the major events I think need to be highlighted and I’ve given some indication as to why in the key below. But what have I missed? What needs expanding? 1. Creation: Theology proper. Who is God? The Creator. Our Creator. And His creation is very good. He is perfect, eternal, transcendent and immanent. 2. Corruption: Harmatology. Who is man? Corrupted, conceited, cursed. In every faculty of his being. Sinful. Yet, in the midst of the curse you have God pointing to the cross. 3. Abraham: The People of God, elected and loved, despite their stiff-neckedness. And in the covenant promise of God you have a clear point to the Seed, Christ, the cross, and blessing to come. 4. Moses/Law: The 10 Commandments. The impossible standard, blessing on/curse received. The Law which can’t save but can drive to the cross. 5. David/King: The promise of an eternal throne and a righteous King to come. 6. Christ Died: Christology. The person of Christ, Emmanuel, God with us. The work of Christ, Saviour, God died for us. 7. Christ Rose: Victory. The sacrifice is accepted. Heaven’s gates flung open wide. 8. 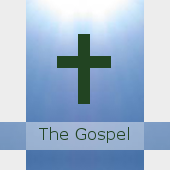 The Church: The Body of Christ, the Bride of Christ, the great commission, the bold proclamation. Repent for the forgiveness of sins! Systematised propositional statements vs a Gospel story of salvation? That’s a ridiculous title. It’s not an either or answer. It’s a both and. Note how I crafted my Estcatology into the diagram. :). Maybe I will grow up to be the Theologian after all. 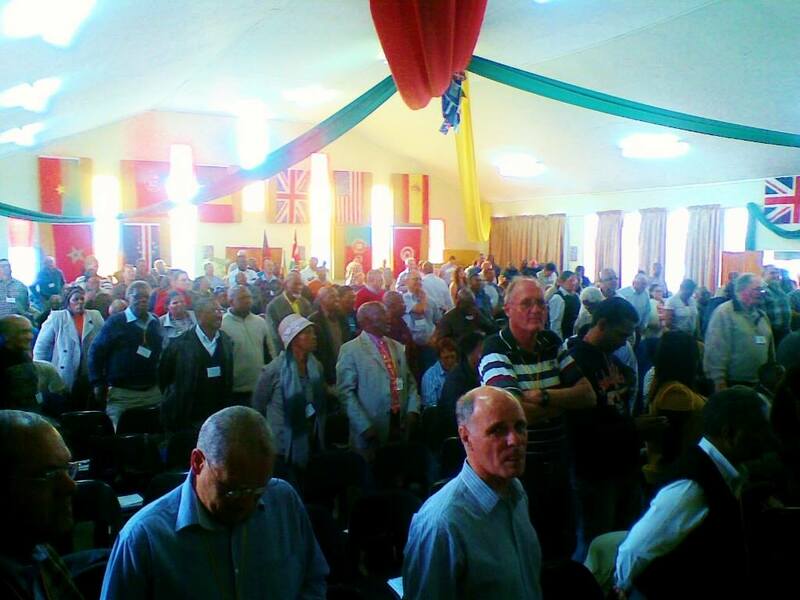 The theme for the 132nd Assembly of the Baptist Union of Southern Africa was Missions. Click image to enlarge. 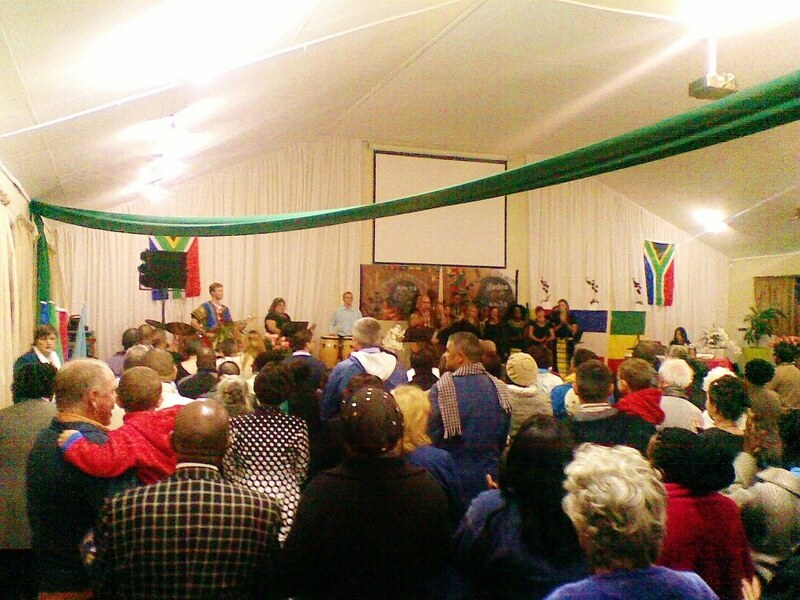 I’ve just arrived home from the Baptist Union of Southern Africa‘s 2013 Assembly (It was the 132nd gathering of South African Baptists). The keynote sermons are a mixed bag of fruit. A sermon that really stood out for me this year was preached by Charlie Rampfumedzi. He is the principal of Christ Seminary (can someone closer to the seminary confirm the actual name of the seminary for me? I was told by Rocky Stevenson this past week that it’s actually Christ Baptist Seminary) in Polokwane. Christ [Baptist] Seminary is a campus of The Master’s Academy International. Now in my home, over Sunday lunch, we play punch the preacher. OK, that’s an overstatement, Liezl (and whoever else is visiting for lunch) gives a critique of the Sunday sermon. Anything’s up for grabs, mannerisms to content, there are no holy cows. I find it useful to my personal growth and it’s become a way for me to gauge whether the main point of my message translated into the mind of my hearers. A highlight of the conference for me was the rich worship. Click image to enlarge. The thesis of this short paper is that it is an inherent aspect of dispensational theology that Christians should not pray that God would grant the Holy Spirit to them. Is it not also significant that MacArthur says nothing in his study Bible on Luke 11:13 about the wonderful promise, in answer to prayer, of our Father’s gift of the Holy Spirit? Both Schofield and MacArthur are being consistent with dispensational theology. This teaches that after the Jews had rejected Christ and the kingdom, God moved to his parenthetical plan B and introduced the church age. Hence since our Lord’s words in Luke 11:13 were given in his teaching to Jews they no longer pertain to the church age because the church received the Holy Spirit at Pentecost. I have heard two brothers from dispensational backgrounds; give moving messages on the need of the power of the Holy Spirit in ministry. Especially, they spoke of our need of him in preaching. Both failed to tell us how to obtain that power. 1 It dismisses precious truth taught by our Saviour as irrelevant. Are these two latter references not prayers? To my dispensational brothers, I encourage you to turn from such erroneous teaching and to seek the Lord’s face for what the church in South Africa desperately needs. We need an outpouring of the Holy Spirit in revival. Pray in terms of our Lord’s promise in Luke 11:9-13.